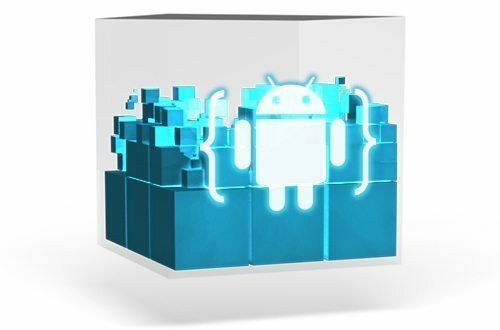 A lot has been changed since I wrote this post: Getting Started with Google Android Development. I’m not going to remove that page but I rather keep it as an archive about how Android development environment installation was done before. 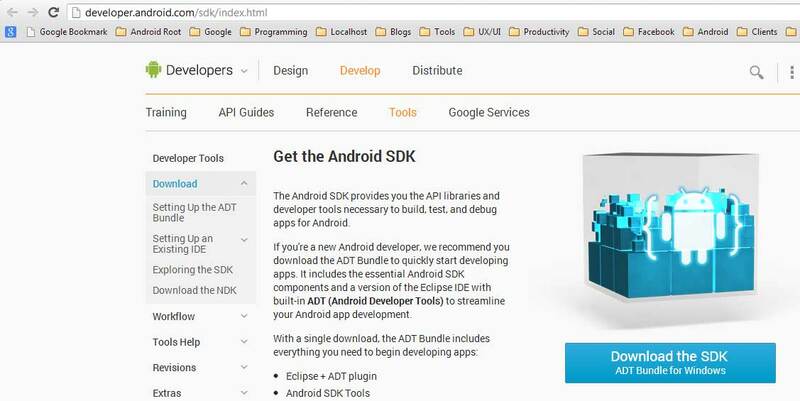 Installing the Android development environment was a lot easier nowadays, thanks Google! I’m not sure when it started, but there are only two things you have to download now. 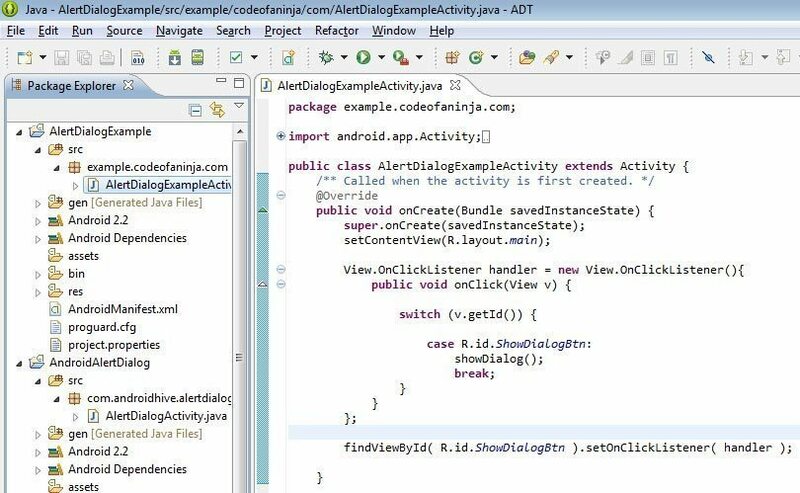 First is JAVA and second is the Android SDK ADT Bundle. 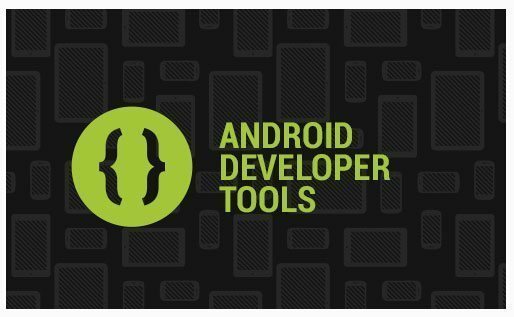 In this post, I’m going to try to walk you through on how is the latest way to install an Android development environment on your PC. By the way, I’m using Windows 7, but I think that the files to be downloaded and steps are almost the same for other OS, so this post can give you an idea if ever you can’t find (on other websites) how it was done in your platform. I actually wrote how to Install Android Development Environment on Ubuntu last year, I hope the changes are minimal so it can still help if you’re using Ubuntu. 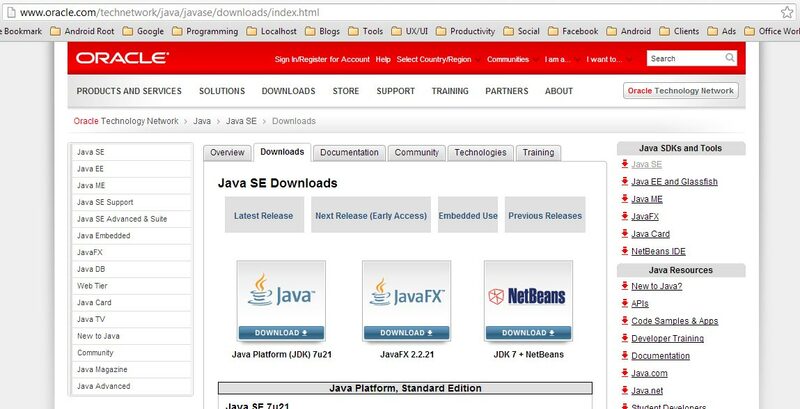 Download the Java Platform (JDK), the one on the left side. Agree with the terms and conditions. I have a 32 bit computer. Click the blue button again. Wait for the download to finish. File size is around 400+ MB. Excited to code? Step 3: Install JAVA. Run the file we’ve downloaded earlier during Step 1. 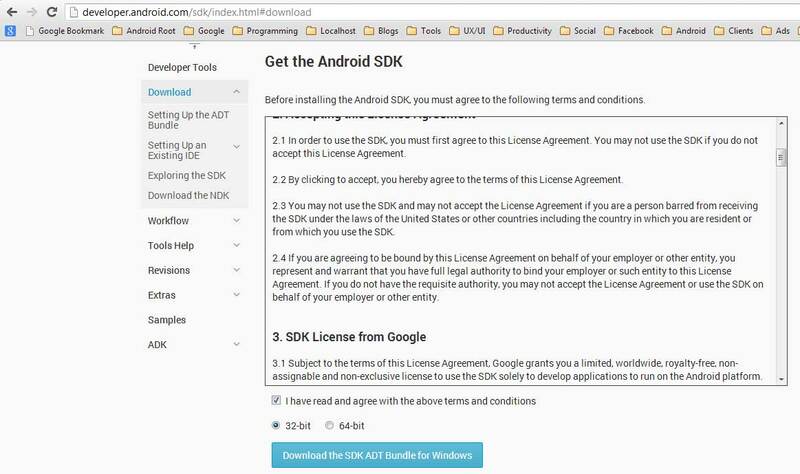 Step 4: Extract the SDK ADT Bundle we’ve downloaded earlier during Step 2. 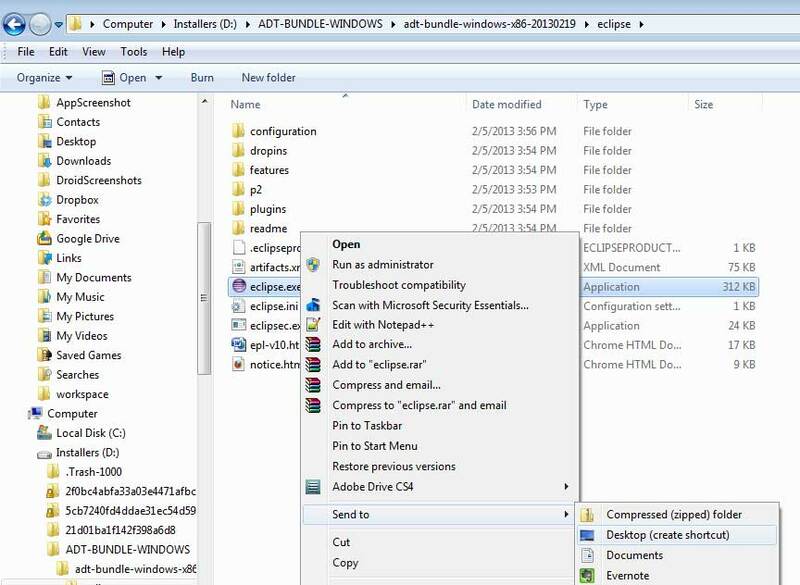 Step 5: Go to the eclipse folder inside the SDK ADT Bundle folder and create a shortcut to your desktop. Step 6: Run eclipse from your Desktop shortcut. Sometimes you will be prompted to update your SDK tools. Just follow the prompt to update your SDK. Now you have your Android development environment. Enjoy! My old codes were in this workspace. Next steps would be the undying “Hello World!” simple program. The official Android training is also helpful.